Two high-volume industrial bursters are available to process large bursting jobs at speeds up to 500 feet per minute while slitting, separating and stacking the forms. Standard features include slitters, tractor feed, safety interlocks, stand and a conveyor unit. A power drop-stacker can be added to enhance productivity. 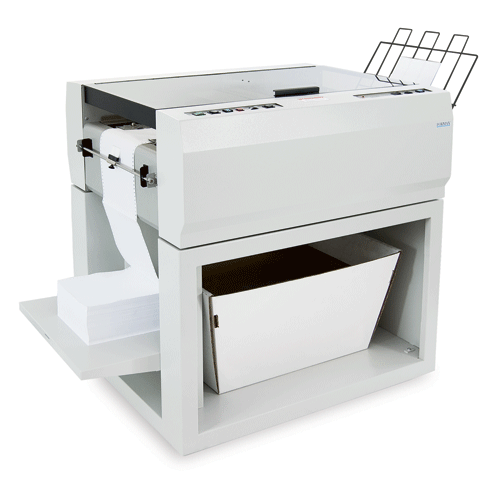 The FD 676 is the standard model, while the FD 680 adds an imprinter. Each high-volume unit is capable of continuous operation, 7 days a week.